Open Studio! Self guided paintings for $15 - $25 by canvas size. Kids and Adults welcome. Paint one of ours, or something of your own! Default price of $15 provides a 8" x 10" canvas. Upgrade at the door (+$10) for 16" x 20" or 10" x 30". Reserve your seat today! 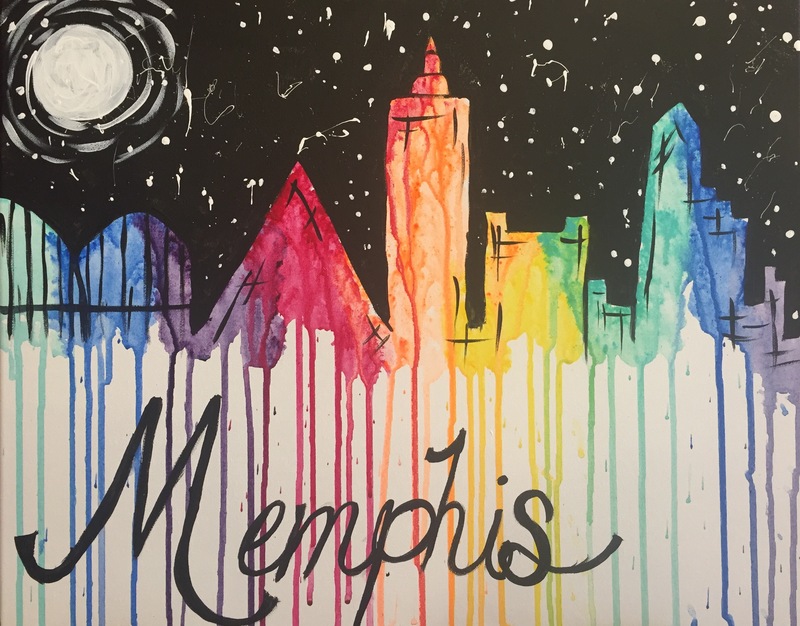 Join us at Memphis Spine & Sport for a special painting event. For $20 paint "Paint the Town - Memphis" on an 8" x 10" canvas. There is a 20 person limit for this event. We will be painting at Memphis Spine & Sport located at 1740 N Germantown Pkwy Ste 6 in Cordova, TN. Open to the Public - Fundraiser! Join us in supporting the Whitehaven Class of 1987 Alumni Association with this Mother's Day themed painting.